This delightful program is designed for children aged 3-8. Carolina Zuluaga is an ecologist, who worked in the Galapagos Islands. She took part in the program to introduce the Australian Ladybird to the Islands to control a feral insect that was attacking plants and destroying the balance in the ecosystem. 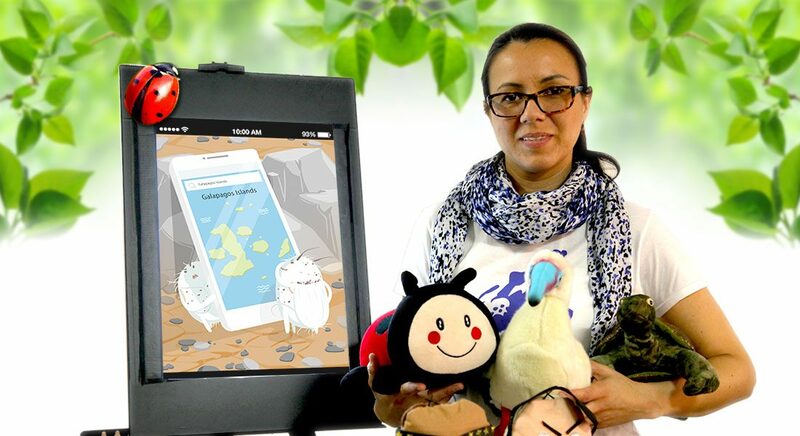 She has transformed her first-hand experience into a fabulously quirky story that introduces children to the insects and animals, and helps them understand basic ecology. Cuddly toys, a giant iPhone, and the wicked El Pulgon, come together to charm and delight. This Science Communicator program is part of a series of school incursions developed to highlight the underpinning role that culture plays in shaping human progress, presented in partnership with the Royal Society of Victoria.